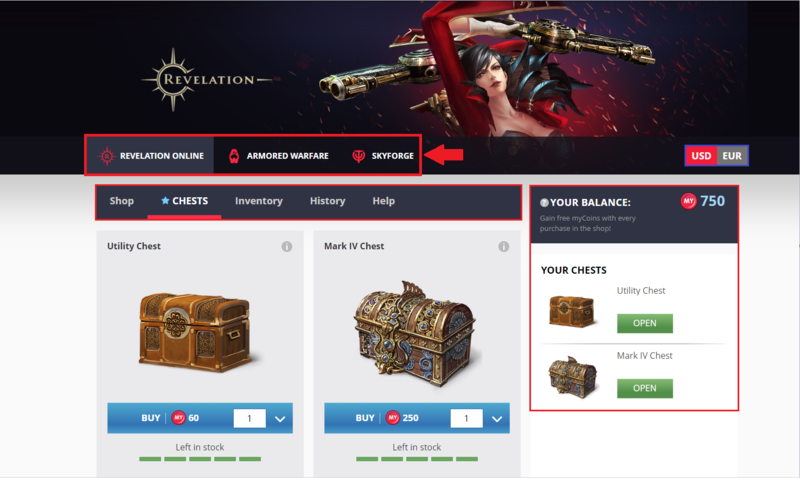 To locate your myLoot purchases, please first confirm that you’re in the correct section of the game shop where the chest was intended for. You can switch between each game shop at the top of the Myloot page. Should the window close after the payment finished processing but you haven't received the chest. Please allow 15 minutes to pass before refreshing the page (by pressing Shift + F5 on your keyboard, or by clicking the refresh button on your web-browser). If you still have not received your chest after this amount of time, please contact customer support.